Your Three-Day Siberian Excursion Awaits! Have you ever wanted to travel to Russia but thought getting a visa sounded too difficult? Do you long to visit Red Square in Moscow or the Bronze Horseman in St. Petersburg but don’t want to go through the paperwork for only a two- or three-day trip? If so, you’re in luck! With the introduction of Russia’s new draft law, now you may be able to stay in Russia for 72 hours without the need for a visa. Obtaining a visa can be more of a hassle than necessary, especially if you are going for a short trip, since the current system makes no exception for brief visits. In fact, even those in transit through Russian airports must possess a visa. If you have a layover in Russia but don’t have a visa, you could potentially be sent back to your original point of departure. This could put a huge damper on a vacation or business trip. Fortunately, this is one of the situations the proposed legislation is designed to fix. The Russian Federation already has a 72-hour “free pass” for those who arrive by international cruise ship. Upon arrival at a Russian port, passengers may go ashore without a visa for up to 72 hours so long as they remain with a licensed tour guide. The new legislation will expand on this, allowing those arriving by plane to leave the airport without the company of a tour guide. However, passengers will still need a valid passport, proof of medical insurance, and hotel arrangements; furthermore, visitors will need to have a departing flight already booked on a Russian airline scheduled for within 72 hours of arrival. The special exemption will only apply to twenty countries’ citizens, including the United States, and won’t be available for some destinations. The current the list of cities where the exemption would be available includes Moscow, St. Petersburg, Sochi, and some areas of Siberia. Notwithstanding these limitations, the Russian government believes the bill will boost tourism by 60%, increasing the hotel industry’s revenue by $110–160 million per year and Aeroflot’s (the largest Russian airline) revenue by $936 million. Realistically, the change will not benefit those U.S. citizens who truly want to visit Russia and immerse themselves in its culture, unless they happen to be in neighboring countries already. The benefits of not applying for a visa for a short-term period will likely be outweighed by the high cost of a flight on Russian airlines. Since those that wish to take advantage of the 72-hour pass will need to purchase a ticket on a Russian airline, domestic airlines will have a monopoly on these 72-hour holidays. However, the exemption will be beneficial for travelers looking to see the sights in a short time period while in transit or those who are in neighboring countries. For example, visitors passing through areas of Siberia to or from China or other countries in the East Asia will have the benefit of not applying for visas and the ability to explore some areas of Siberia. Also, the new exemption could segue to more lenient visa policies in general. Citation: Alex Kerrigan, Your Three-Day Siberian Excursion Awaits!, 1 Cornell Int’l L.J. Online 83 (2013). * Alex Kerrigan is a J.D. candidate at Cornell Law School, where he is the Cornell International Law Journal’s Associate on Russian Affairs and a research associate for the Legal Information Institute. He holds a B.A. from the University of South Carolina, where he studied criminal justice and Russian. See Bill Enabling Transits Without Visa to Stay in Russia for 3 Days Forwarded to Duma, Russian Legal Information Agency (Sept. 17, 2013), http://rapsinews.com/legislation_news/20130917/268850484.html. Russian Visas, U.S. Embassy, http://moscow.usembassy.gov/russian-visas.html (last visited Nov. 6, 2013); Russian Visas: Frequently Asked Questions, Saint Petersburg, http://www.saint-petersburg.com/russian-visa/frequently-asked-questions.asp#1 (last visited Nov. 6 2013). See Russian Visas, supra note 2. This apparently does not apply in an international terminal if you do not leave the customs area. However, the U.S. Department of State has noted that customs agents often misinterpret this law. Russian Federation, U.S. Dept. of State, http://travel.state.gov/travel/cis_pa_tw/cis/cis_1006.html#entry_requirements (last visited Nov. 6, 2013). However, the 72-hour pass does not apply to those on riverboat cruises. Id. See Darya Gonzales, Foreigners Allowed 3 Day Stay in Russia Without Visa, Russia Beyond the Headlines, (Sept. 2, 2013), http://rbth.ru/international/2013/09/02/foreigners_allowed_3-day_stay_in_russia_without_visa_29421.html. Ruslan Krivobok, Russia 72-Hour Visa-Free Transit to Boost Domestic Airline Profits, Ria Novosti, (Nov. 3, 2013), http://en.ria.ru/russia/20131103/184496440/Russia-72-Hour-Visa-Free-Transit-to-Boost-Domestic-Airline-Profits.html. Glimpse Siberia Without a Visa – Historic Move to Boost Tourism, Siberian Times, (Nov. 3, 2013), http://siberiantimes.com/business/casestudy/news/glimpse-siberia-without-a-visa-historic-move-to-boost-tourism. 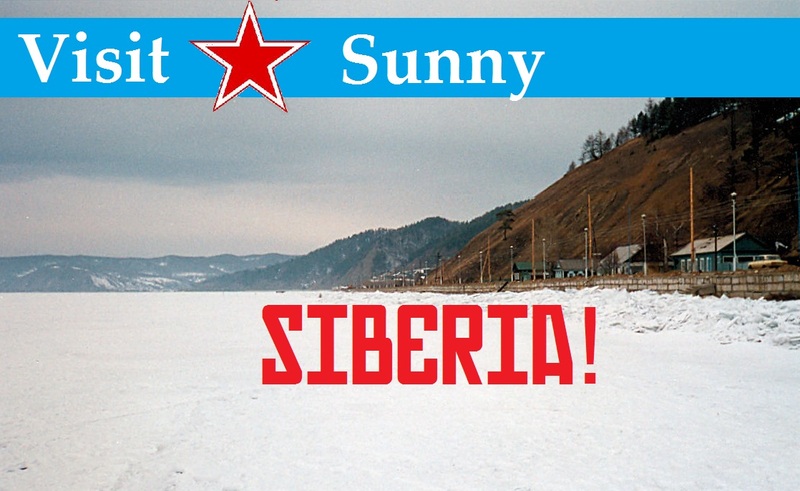 See Glimpse Siberia Without a Visa, supra note 16. See, e.g., Russia to Push for Visa-Free Regime Deal With EU in 2014 – Official, RIA Novosti (Oct. 17, 2013), http://en.ria.ru/russia/20131017/184199636/Russia-to-Push-for-Visa-Free-Regime-Deal-With-EU-in-2014–Official.html (discussing the possibility of visa-free travel between the EU and the Russian Federation). Next Article Comparing Felony Disenfranchisement in the U.K.